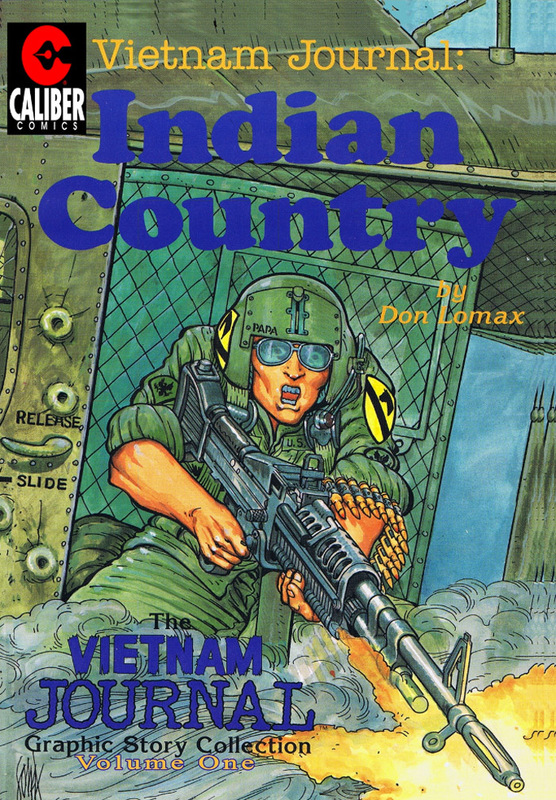 “Vietnam Journal,” by Vietnam veteran, Don Lomax, is one of the great examples of what can be done with comics beyond superheroes. Thanks to dedicated supporters, like Gary Reed, the publisher of Caliber Comics, this is a comic that has secured its place in history. But there are always new readers to reach and new ways to reach them. Caliber Comics is releasing the entire run of this Harvey Award nominated series starting with “Vietnam Journal Vol. 1: Indian Country” With a very special thanks to comiXology, this work will reach an even bigger audience. 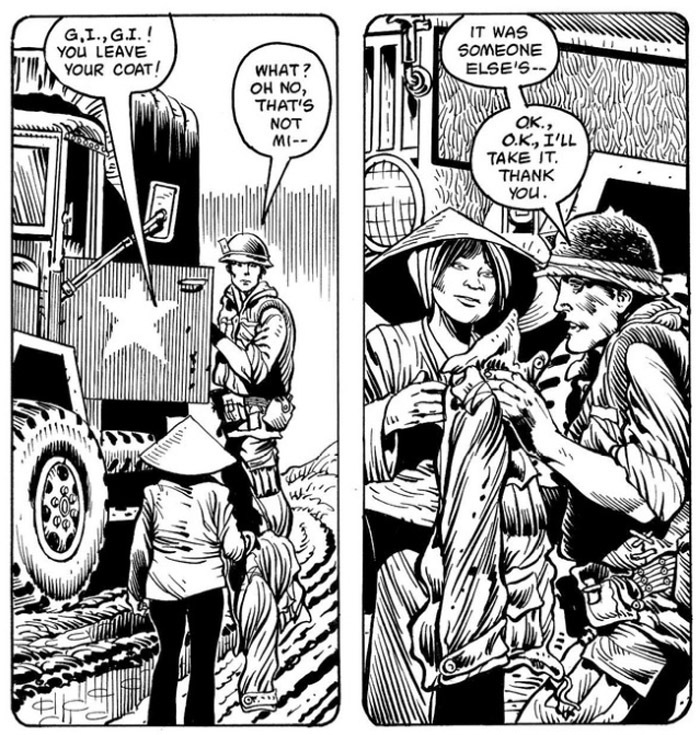 You can find the first volume of Vietnam Journal at comiXology here. Volume One collects the first four issues of the comic book series. The titles are worth mentioning: “The Field Jacket,” “Dogs of War,” “Sorched Earth,” and “Birds of Prey.” The reader is thrown right into the action with a war journalist as narrator. His name is Scott Neithammer but the troops just call him, “Journal.” Once he is “in-country,” he quickly wises up about press briefings. He will find his story among the troops. Consider the first story in this book, “The Field Jacket.” Through the device of a tattered old soldier’s jacket, Lomax gives us a tableau rich in depicting life on the front lines. The roles are reversed as this story provides an opportunity for Neithammer to introduce himself to the soldiers he wants to get to know. He explains why it is that he wears a battered jacket ready for the rubbish bin. It’s supposed to be a lucky charm. He highlights how one man after another was saved from sure death by this jacket. It takes the street smarts of his audience to show him another side to that story. Lomax’s artwork is a finely detailed style harking back to the best in comics realism. His crosshatching is very precise. His lines are all as crisp as a well pressed suit. The rhythm to the pages is very controlled, regularly alternating between wide angle and close-up. It all adds up to evoking the persistent clash of order and chaos during war. This is heart-felt and authentic storytelling that has earned an honored place in comics. Don Lomax is an American original. His work in comics is a lasting contribution to our understanding of the nature of war. Visit him at his official site here. And you can find the first collection to Vietnam Journal at comiXology here.